There are a lot of machine shops in Memphis, TN. And we know it can sometimes be difficult to choose the right one for your needs. At Industrial Machine Service, we can take care of your industrial machine shop services. We are a highly experienced one stop shop. And we have over 60 years of combined experience working on production line machinery. We pride ourselves in holding our personnel to higher standards. IMS employees are always dependable, trained, and experienced. Did you know that all of our staff is drug-tested AND we belong to the Tennessee Drug Free Task Force? That is how much pride we take in our work force. And we stay on budget and avoid unknown and unexpected fees. And our parts division, DBH Distributors, offers a large selection of pneumatic tubing, fittings, pneumatic valves, flow controls, quick couplings and accessories, paint booths and systems, electric motors and controls, and power tube short stroke linear actuators, pancake cylinders, and many more. We proudly carry parts from Carolina-Virginia, SPX/Power Team, ITW Vortec, Chemco, Toshiba, and many, many more high quality brands. We are an industrial machine shop, and we want to be your choice out of the local machine shops near you. Here are some of our many industrial machine shop services. For all machine shop services: Memphis, TN and beyond, we offer service on everything from manufacturing shafts to tubing and sprockets. Plus we handle conveyor rollers and custom CNC machining. And we can even help you with custom designs and custom machining. Our services are unique because we offer custom boring services. And we offer CNC Lathe services. Did you know that we also offer CNC Milling services? And we even have the equipment to do high-production runs. Plus, we can also do CNC prototyping for you. And we have highly skilled, highly trained, highly experienced machinists on staff. They have over sixty years of combined experience working on production line machinery. And we are proud to say that many of our customers have been working with us since IMS originally opened in 1994. We believe this is a testament to the quality and dependability of the service that we provide. It is our job to be the highest quality machine shop in Memphis. Be sure to call us for our machine shop services price list. We stand by our work and offer much more than industrial machine shop services. Here are some of our other services. We also offer build services, for pneumatic control panels, controls and control panels, and electrical control panels. And we also offer general contracting services. 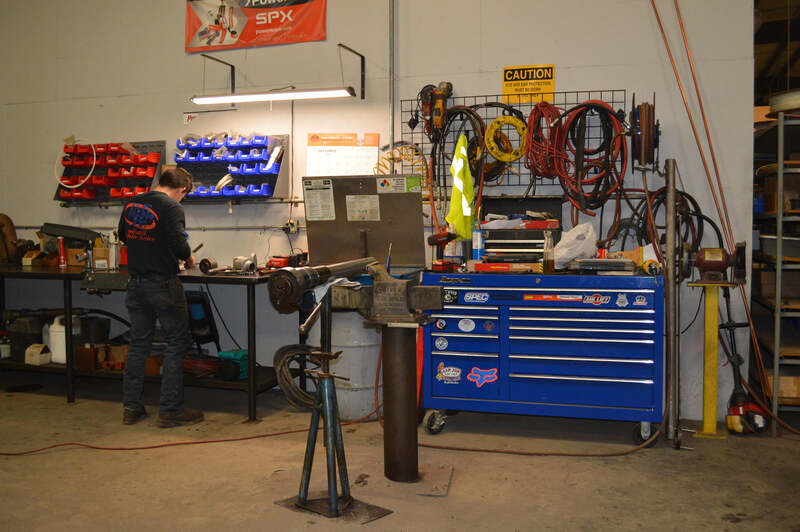 Our other services include steam piping, X-ray MIG welding, stainless steel welding services, plant maintenance, process piping, and even building alterations. Our aim is to be your one-stop shop for all of your industrial machinery needs. At Industrial Machine Service Memphis, we are more than just a machine shop – we don’t consider our first work with you to be our last. Instead, we feel it is just the start of our relationship with our customers. We are here for you every step of the way because we know that industrial machines need expert care and attention and that does not stop once the first round of work has concluded. We are here for you. Our customers depend on us to be trustworthy and dependable. Many of them have been with us since our start in 1994. And we are proud to service them. We hire highly skilled and experienced technicians and we drug test all of our employees. Industrial Machine Service Memphis is even a member of the Tennessee Drug Free Task Force. We hold our employees to higher standards. Our one-stop shop stays on budget and always helps you to avoid hidden and unknown fees. You will not get any unexpected costs with IMS Memphis. So please be sure to call us! We would love to hear from you and would be more than happy to answer any questions you might have about industrial machine servicing, IMS Memphis, Production Line Troubleshooting; Sewage Flow Meter Installer; Process Piping; Electrical Control Panel Builds; Aluminum TIG Welding; Weld Pipe Installation; Building Alteration; Allen Bradley PLC Ladder Logic; Industrial Steam Piping; Pallet Racking Protection; Rack System Installation, Modification, and Relocation; OSHA Machine Guards; Hydraulic Pump Repair; Bore and Key Shaft Services; Pneumatic Compressor Repair; Catwalks and Platforms Installations; Industrial Plant Maintenance; Cardboard Baler Repair; Industrial Process Piping; Sheet Metal Fabrication; Double Time Welding; CNC Services; Warehouse Racks / Shelving Systems; Inventory Control and Bin Stocking Services; and so much more.